Whether you have been vaping for years or are just starting out, there are always questions about the latest and greatest features on the best vape pens. These are good questions because the qualities of the best portable vaporizers are constantly changing and improving. The market has become flooded with options when it comes to vape pens, and we carry the best at Vapaura.com. What Does the Best Vape Pen Look Like? The most popular brands of vape pens have turned to sleek, streamlined designs for their newest vaporizers. There is a lot of emphasis on a design that is cool, not in terms of popularity, but look and feel. Glossy finishes and onyx-colored devices make for the best sellers at many vape shops. Glass vaporizers are becoming much more popular. When vaping rose to popularity in the mid 2000’s, brushed metal vaporizers were all that was stocked on the shelves. You had to hunt high and low to find a vape pen that was made of glass. This is changing as vaping has become part of a lifestyle and image. These vape pens are still exclusive, but we think that is changing. Apparently a man in Russia went through a significant amount of trouble and an inordinate amount of money to convince his girlfriend to ditch her cigarettes and try vaping. We aren’t exactly sure how this whole fiasco started out, because it took very little convincing for the team at Vapaura.com to drop their cigarettes for the best vape pens. The vaporizer he designed is worth $74,000. The device is made of hand-blown Italian glass and covered top to bottom in two-carat diamonds. The vaporizer was commissioned from a British brand, known for high-end devices. As this is the most expensive vaping device in the world, it is likely they never made anything like it before. While what we most want to know is if this over-the-top gesture convinced his lady to take up vaping, what we will settle for is this - is this really the best vape pen in the world? In all fairness, we wouldn’t turn it down. The chance to hold a vaporizer worth $74,000, much less vape from it would be an opportunity too good to pass up. But if there is one thing we have learned about testing, trying, and selling vaporizers over the years, it is that what is inside, matters far more than what is outside. So, expensive gems aside, we would need a good look inside this vape pen to know if it beats out products like the beloved Kandypens and the G Pen. What Else Should I Know About the Outside? Of course, there are other considerations when looking for a fantastic vape pen in 2017. For instance, the mouthpiece is important. You definitely want to find a brand that had the sense and forethought to create the mouthpiece of a heat resistant material. There are a few companies that make their mouthpiece of plastic, which won’t conduct heat like metal, but leaves an identifiable smell as the vapor passes through the mouthpiece. This doesn’t bother certain people, but if you are looking for a really clean burn, look elsewhere. Specially made rubber is probably your best bet, and if a company takes the time and care to incorporate an odorless mouthpiece, they probably gave thought to other parts of the vape pen as well. First up, the battery of your vape pen seems like an average, run of the mill part of this device, but it isn’t. It is a specific sinking feeling when you go to vape, and your portable, meant for easy travel and anywhere use vape pen is out of battery. This is the component that makes your vape pen portable, but it also keeps you tied to a timeframe while keeping your eyes on the vapes battery life. Most vaporizers are powered by lithium batteries today. If you come across a vape pen that has a different core component, give it a close look. These lithium batteries come in different sizes, which a larger battery often means longer vape time. So, if you are on the go all day, it might be important to find a vape pen that can keep up with your lifestyle. However, battery life isn’t isolated from the other components inside your vape pen. The heating element you choose for your vape pen is going to depend less on quality and more on what product you want to vaporize. 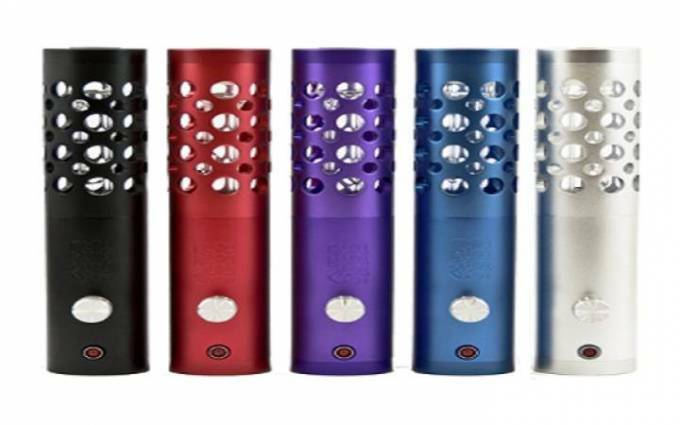 If you are going with a dry herb, you want to look for an advanced heating chamber, such as the ceramic chamber in the Atmos Orbit vaporizer. If you are into e-liquid, then you have a wide range of options that include the interchangeable coils available on the VOID Vaporizer from XEO to tank construction seen in the likes of White Rhino devices. Lastly, if you are trying to dab, then your choice of vape pen is going to come down to a chamber that can handle wax, such as Gravity by Kandypens. On the online store at Vapaura.com you can find vape pens for any product and lifestyle. A great place to start is on our homepage at vapaura.com, where you can see our featured products. For more information about Best Desktop Vaporizer For Sale and Best Quality Herbal Vaporizer Please visit : Vapaura.